The Kagyu lineage of Tibetan Buddhism has been inherited by highly accomplished lamas. This is particularly true of the Drikung Kagyu lineage, which was founded by Kyobpa Jigten Sumgon, whose main disciple was Nyun Gar Chusum. The details of this lineage and its significance are described in The Drikung’s Golden History. 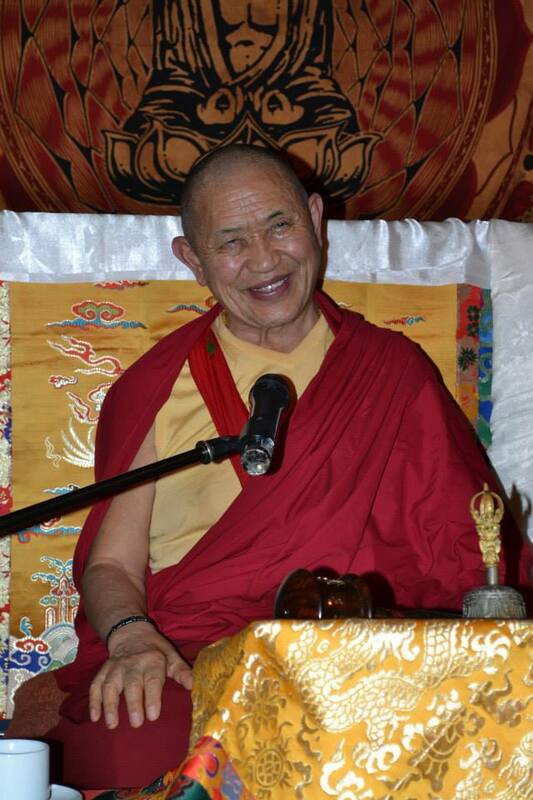 His Eminence Garchen Rinpoche is one of the important masters in the Drikung Kagyu order. His lineage of incarnation can be traced to Gardampa Chödengpa, a disciple of the great Kyobpa Jigten Sumgön. His Eminence 8th Gar Konchok Nyetong Tenpei Nyima Choekyi Palsangye was born in 1936 in Nangchen Kham. The King of Nangchen personally took responsibility for searching for the reincarnation of the 7th Gar Tinley Yonkyab. Rinpoche was recognized and enthroned by His Holiness the late Drikung Kyabgon Shiwei Lodoe. At the age of seven Rinpoche was brought to Lho Miyalgon, where he was offered ceremonial clothes and other items. He pointed to a painting of the Drikung lineage’s founder, Jigten Sumgon, and proved his authenticity as the reincarnation by saying, “He is my Guru.” This made people around him confident that he was the true reincarnation. 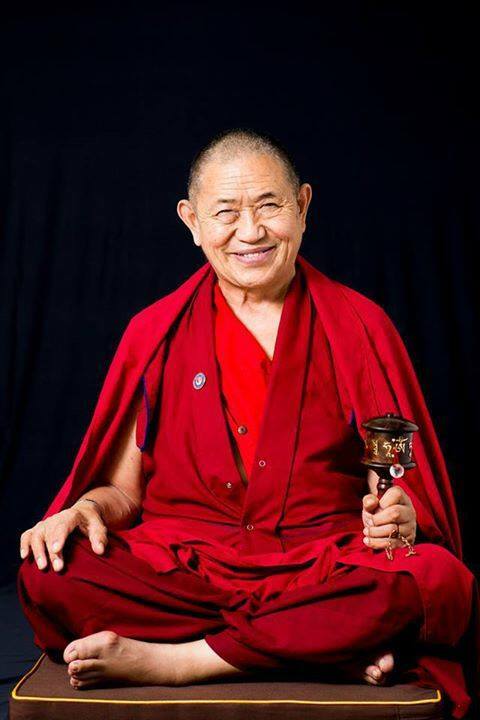 Since 1979, His Eminence Garchen Rinpoche has been looking after the welfare of his monastery. He has been gracious and kind to poor people. He has given all the offerings he received to the monastery and has decided not to use anything for himself, his relatives, or his mother. In recent years, Garchen Rinpoche has shouldered responsibility for rebuilding all of the Drikung Kagyu monasteries in Eastern Tibet, while at the same time wholeheartedly giving profound teachings of the lineage to others. In addition, His Holiness Drikung Kyabgon Chetsang Rinpoche received the empowerment and transmission (lung) of Yamantaka (Jampel Shinje) from Garchen Rinpoche, and composed a long life prayer for him. In prayer, H.H. Drikung Kyabgon Chetsang Rinpoche regards Garchen Rinpoche as a great Drikung Kagyu yogi of the present time. His Eminence Garchen Rinpoche is very considerate and humble to all people regardless of position, age or gender. By nature he is able to work for the benefit of others and has earned great respect from the public. His Eminence has never betrayed the expectations of his disciples or others. He is extraordinary in this age of degeneration. This brief biography was compiled by His Eminence’s disciple Konchok Toga, Abo, Bu Nyima, in consultation with the present Garchen Rinpoche. This is like a drop of water out of his accomplishments, which are as vast as the ocean.